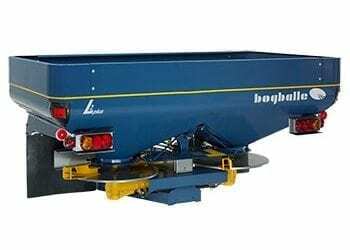 Bogballe is one of the world’s leading manufacturers of fertiliser spreaders. 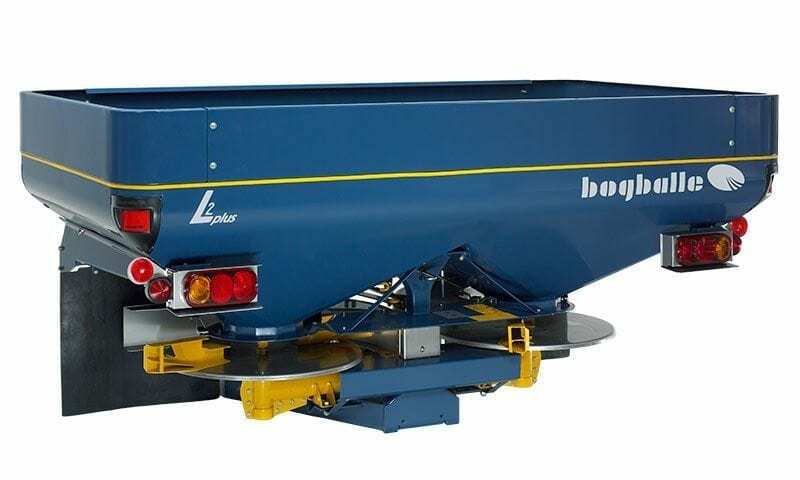 The IN CENTRE system is used for normal in field spreading; spreading discs are rotating towards each other to the centre of the spreader. In this way, we achieve a perfect “4-double overlap’ which results in a perfect spread pattern with practical in-field tolerance. On headlands, the only adjustment is a change of disc rotation direction. 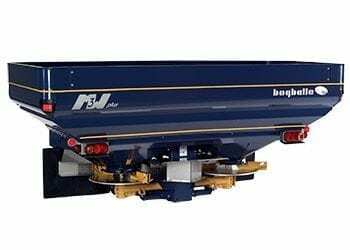 This system ensures a perfect fertiliser application to the border as well as in the field. 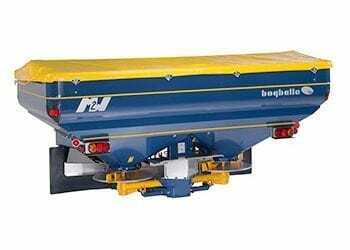 The spreading system fulfils the European environment standard and is stand on all models of spreaders. After a thorough 7-step cleaning of each component, we are powder painting with the sturdy “flexi coat” finish. 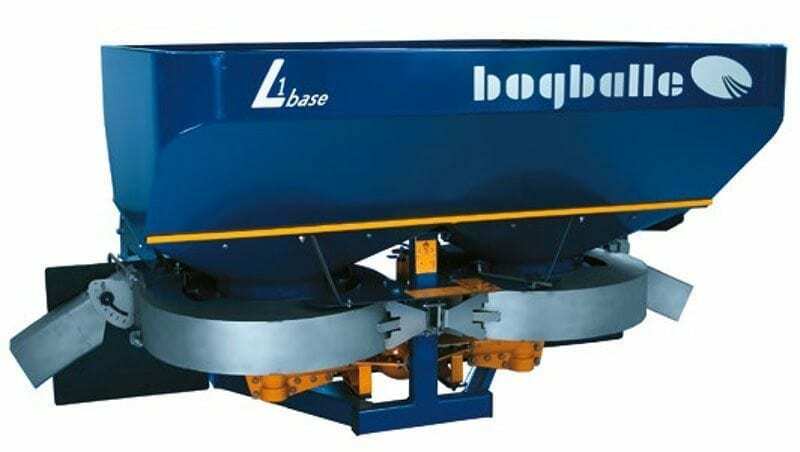 Spreading discs, guards and hopper base are made of stainless steel. 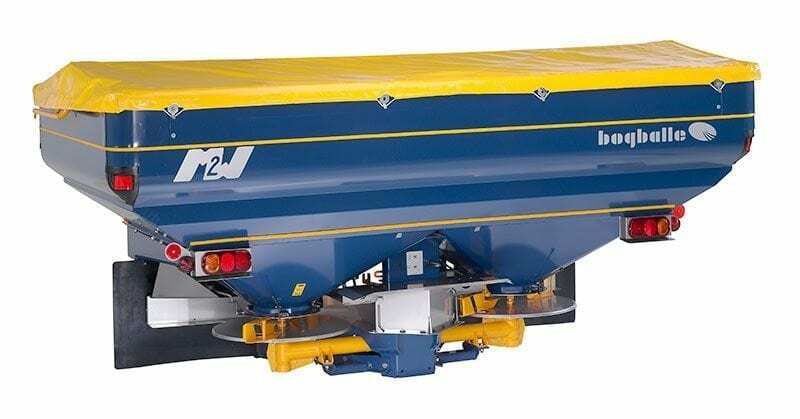 This results in first class protection against corrosion and provides a longer life. The transmission is a closed system, filled with a special grease with perfect lubrication characteristics at all working temperatures. Beside this the transmission is fitted with an overload clutch that protects against extreme stress. 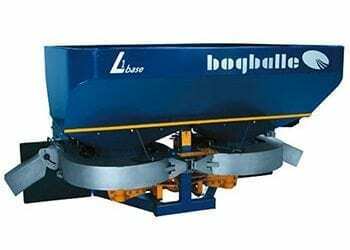 Quad overlap (In-centre spreading system) – the most accurate!